Need some travel inspiration in 2019? The Instagram feeds of these black female travelers are guaranteed to light a fire in your belly to get up off your couch and go explore the world. But before you click follow, be warned: you’re also likely to catch a serious case of wanderlust envy! Jessica Nabongo is a go-getter millennial on a quest to be the first black woman to travel to all 195 UN member countries and observing states, including the Vatican and Palestine. Born in Michigan to Ugandan immigrants, she left her six-figure pharmaceutical job with Pfizer to wander the globe in her 20s, and she hasn’t looked back since. She says capturing scenes from everyday life is her favorite thing to do because sharing an honest portrayal gives dignity and humanity to the people living in the countries she visits. That single-mindedness of purpose helps her to highlight aspects of a place that many other photographers often overlook or simply miss. We all speak about being the best version of ourselves/ living "my best life" but what does that really look like? The best version of ourselves cannot be obtained without introspection. Living ones best life is not about being ostentatious 24/7. In order to live our best lives, one has to be profoundly self aware and that knowledge of self enables us to choose experiences that nurture and foster "our best self". When we are honest with ourselves, stay true to our instincts, embrace and celebrate our flaws and what makes us different, we are able to live a life that is uniquely tailored for us. Asiyami, who has Nigerian heritage, started her Instagram account when she was 21 because she was drawn to images of an aesthetically pleasing and beautiful lifestyle but realized she couldn’t find many people online that looked like her. Seeing the platform as a place where she could help shape the narrative, Gold set out to create a feed that gave a different perspective to women of color. Now, a mere six or seven years later, this visual storyteller, artist, photographer, and artistic creator is an established player in a constantly evolving industry. Aisha Sylvester is an island girl from Trinidad and Tobago who is just as comfortable navigating busy city streets as she is rounding up cattle on a Midwestern farm. Her trips have taken her to long-haul destinations like the Czech Republic and Budapest, in addition to ones closer to home like Grenada and the San Blas Islands of Panama. 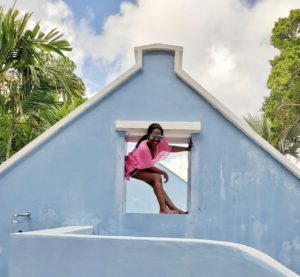 Last year, she started a new series on her blog called Island Girls in Transit to inspire other Caribbean women to follow their own wanderlust dreams. Subscribe! It’s a really cool way to get to know another group of great female travelers. Sarah Greaves-Gabbadon is a Miami-based travel writer who “ventures to the beach and beyond to share the diverse culture, lifestyle and people of the world’s favorite warm-weather destinations.” Her work has been featured in top-tier travel publications like Travel + Leisure, Brides, Martha Stewart Weddings, and The Telegraph, but she’s still very much a down-to-earth person. 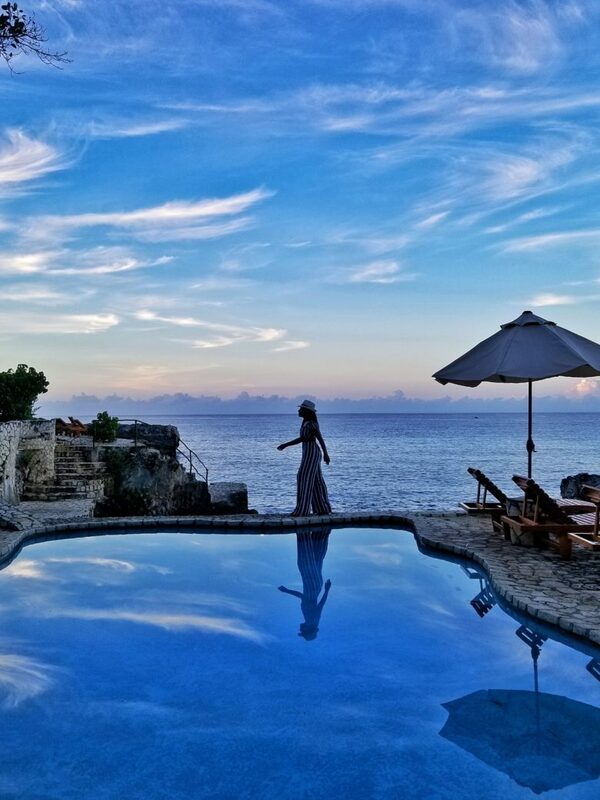 Showcasing the Caribbean is her top passion, and she does it vivaciously… and in vivid color. And of course. there’s me. I am a routine-averse Gen Xer who travels with limited vacation time and on a budget. Sounds familiar? I collect passport stamps when I’m not working hard at my 9 to 5 because I love to explore new lands and learn about new cultures. 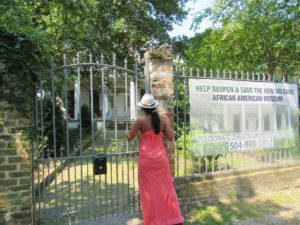 As someone who was born and raised in the Caribbean (Jamaica), it took me a while to realize the world was much bigger than the diaspora enclaves in the US, England and Canada. What’s more, it finally dawned on me that you didn’t have to be a pilot or flight attendant to visit off-the-beaten track destinations. 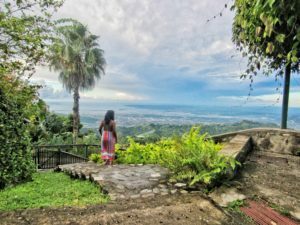 I now blog about my trips in my spare time because I want other Caribbean nationals to see the world can also be their oyster. If you’re still on the lookout for other accounts to follow, you can also check out a similar post that I did in 2016 here.